Cubicle Centre products are offered on a manufacture and supply basis and are designed to be assembled by any competent tradesperson. Lead times can vary from just 5 – 20 working days depending on specific requirements. Please note: Lead times may increase during busier times of the year (I.E. school holidays). Those looking to refurbish washrooms during school holidays are advised to place their order several weeks beforehand. Durable, vandal-proof and safe. 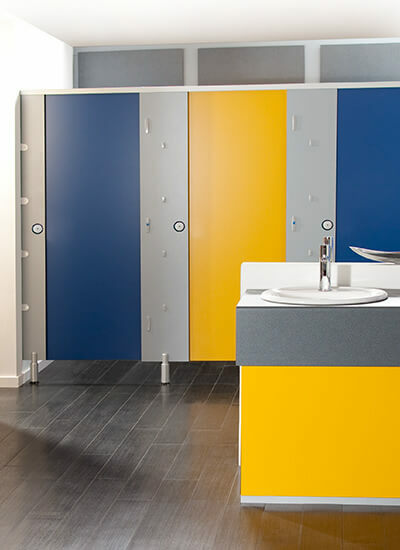 Perfect for larger schools with busy washrooms.